How sweet coffee tastes! Lovelier than a thousand kisses, sweeter than Muscatel wine! 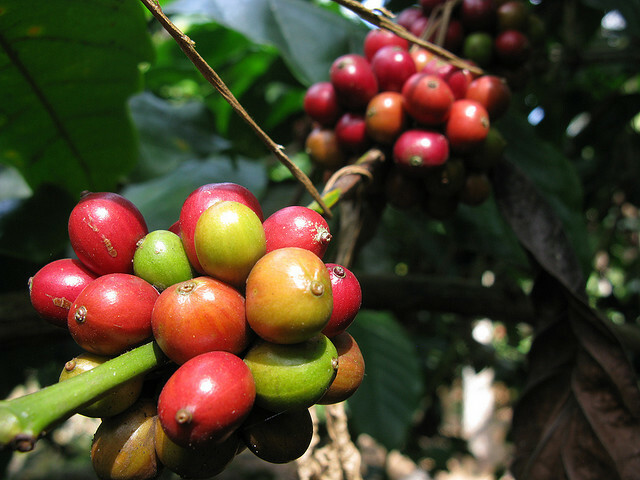 According to tradition, around AD 1000, an Ethiopian goatsman named Kaldi observed his herd becoming much more energetic after munching on the bright red berries of a certain bush – the coffee plant – Coffea arabica. Intrigued, Kaldi tried a few himself and experienced the energy buzz we’re all familiar with. His exhilaration prompted him to bring the berries to an Islamic holy man in a nearby monastery. But the holy man disapproved of their use and threw them into a fire, from which an enticing aroma billowed. The roasted beans were quickly raked from the embers, ground up, and dissolved in hot water, yielding the world’s first cup of coffee. Amazed by the invigorating power of the beans, he spread the word and before long everyone was at it. However it was the Ottoman Turks who truly popularised coffee as a drink. They imported it to Constantinople in the 1400s and opened Kiva Han, the first recorded coffee shop. In 1930 Max Morgnethaler, a Nestle employee, searched for ways to make a coffee that would be quick and easy yet still capture the flavour of coffee poured from a percolator. Prior to this, many rather unsuccessful attempts to develop instant coffee had been made. First came distilled coffee essence in liquid form, which failed because, quite simply, it couldn’t retain the flavour of coffee. Later attempts included grinding the beans to an extra fine powder in the hope that it would dissolve, but this was a failure too. Rather than dissolving, the ground coffee only formed a thick film on the surface of the hot water. Something cleverer had to be done. The coffee needed to be fully dissolvable. In 1938, Nestle embraced the idea of spray-drying. This involved spraying fresh coffee into the top of a tower where a large supply of hot air would instantly dry it into droplets. The coffee droplets were then rendered into granules. Spray-drying was an improvement on previous methods, but in the early 1960s Nestle began selling a further-improved instant coffee that we still enjoy today – freeze-dried instant coffee. Freeze-drying is a sophisticated, multi-stage technique used in many fields such as pharmacy. It was found that coffee could be frozen into thin sheets, which could then be ground into particles. Once subjected to a vacuum, these particles left granules of pure, dissolvable coffee, flavour intact. Quintessentially Italian, the single black espresso shot forms the basis of any “grande-decaf-skinny- soya-mocha-type” fancy business one may find in today’s chain coffee houses. As suggested by the name, espresso came about from one Italian engineer Achille Gaggias need for a speedy coffee hit. His 1938 spring piston lever machine pumped not quite boiling water through ground coffee very quickly eliminating the opportunity for the bitter taste to contaminate it. One pull of the lever ensured a perfect, quick coffee and, once patented, the espresso machine became beloved of cafe owners all over Italy, and then the world.